Knowing what to look for in a Missoula commercial plumbing company is crucial. Understand that residential and commercial plumbing is not the same. Hiring the right company will spare you unnecessary mistakes and keep costs within your budget. Apart from installing and repairing faucets and pipes, commercial plumbing involves installing and maintaining general waste removal and water supply systems in all types of businesses and housing complexes. Among the various services performed by Missoula commercial plumbing professionals are the following: the installation and repair of bathroom and kitchen fixtures, water fountains, sprinkler systems, pipes, and sewer lines. Garden City Heating and plumbing is one such company that offers impeccable commercial plumbing services in the Missoula, Montana area. The major differences between residential plumbing and commercial plumbing are the size, scope, variety and complexity of work to be done. Therefore, a residential plumber will rarely be equipped, trained or capable of managing a commercial plumbing project. For obvious reasons, Missoula commercial plumbing involves far more than residential plumbing does. While residential plumbing is usually limited to lighter use serving residents in the home, most Missoula commercial plumbing projects involve toilets and sinks and water systems used by both workers and customers. Depending on the space and size of the people onsite each day, commercial plumbing projects can serve hundreds if not thousands of people. For a commercial plumber, understanding that there is a difference with running pipes for a two-story house and that of a building that is several floors high is critical. Other factors such as water pressure must be considered and this may not be within the scope of a residential plumber’s experience and abilities. In addition, the training for a commercial plumber is far more extensive. Simply put, a strictly residential plumber is not the right fit for a Missoula commercial plumbing project. 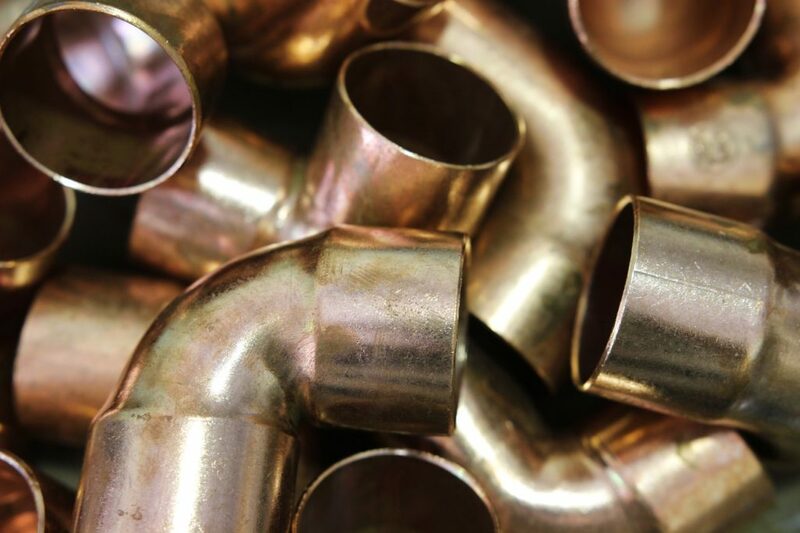 Unlike residential plumbing that requires the plumber to deal with day-to-day basic issues, commercial plumbers encounter a wider variety of problems on a regular basis. They have a wider range of knowledge and experience to deal with these issues as they arise. Apart from that, Missoula commercial plumbing is far more complex due to the hardness and quality of the water in local areas. Here are some useful tips to consider before choosing a Missoula Commercial Plumbing Company. The proper materials and equipment needed are available. The plumbers have a working knowledge of what they need to do to finish the project competently. The likelihood of accidents or low quality work is greatly reduced. Most states require plumbers to be licensed, and Montana is one of these states. The licensing process is intense and requires a company to have at least nine years of experience. Choosing a company that is licensed ensures that the Missoula commercial plumbing professionals are competent enough to perform the job as required. Although you won’t want to entertain the thought of a mishap, it’s possible that your Missoula commercial plumbing services will not be without a snag. Things do happen, and even the best contractors are not above making a mistake. It’s the company’s responsibility to be insured in case of such an event. If you’re hiring a plumbing company you’ve never used before, it’s wise to ask about their insurance policies just for peace of mind and information. Because commercial plumbing jobs involve a greater scope of work, it is likely to take longer to complete. Do you have an event coming up or a deadline when you absolutely need the installation or repair work finished? Communicate your needs to the company before you hire them, and make sure they are able to accommodate you. Choosing from the selection of Missoula commercial plumbers is a task that should not be taken lightly. Do your research, read online testimonials, and ask for referrals. Get a clear understanding of the company’s capabilities, cost of services, and expected timeline to complete projects. Make a choice that you can stand behind and one that will give you peace of mind on behalf of the company and/or property that you represent.